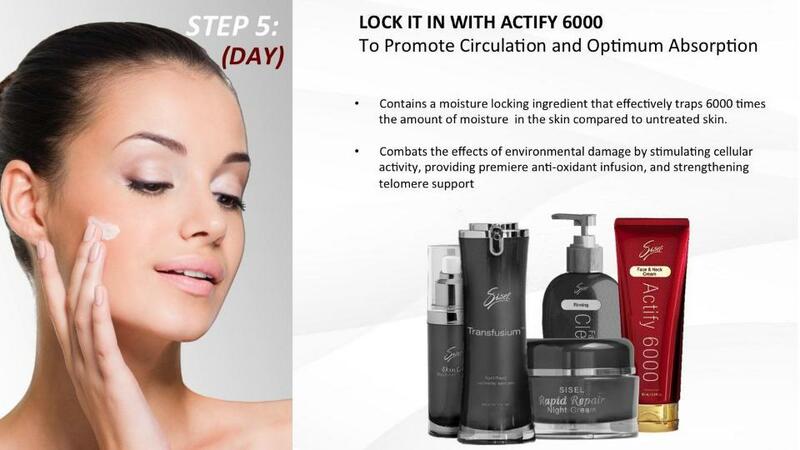 5 Steps to beautiful youthful looking skin. Anti-aging skin care. Most facial cleansers are sulfate based and cause erosive and corrosive damage to the skin. Firming Facial Cleanser is the gentle AND effective catalyst to helping the skin to transition toward transformation and supports a radiant, acne-free complexion. Exfolium can be used at this step in replace of the Firming Facial Cleanser every 2-3 days. Exfolium is an amazing 10 in 1 Exfoliator that will leave you with cleaner, softer skin. It will remove dead skin while leaving your face feel soft, clean and refreshed! Skindu supports the PRODUCTION of naturally decreasing hyaluronic acid, the most critical moisturising agent in the skin. Skindu opens the portals of the skin, priming it for Transfusium, and the rest of the Sisel Skin Care System, to penetrate deep into the pores, a requirement for the skin to begin to rebuild and repair. Step 3: TREAT WITH TRANSFUSIUM by Firmly Massaging it into Your Face and Neck. (Optional apply and Vanquish after Transfusium). This step helps revitalize dull skin, diminish uneven skin tones, combat collagen loss and restore elasticity. Vanquish can also be added in at this step to reduce the appearance of eye bags, dark circles, and crows feet. This step ensures that your newly Transfusion-treated skin will have an ample amount of moisture, a requirement for a younger-looking glow. Contain a moisture locking ingredient that effectively traps 6000 times the amount of moisture in the skin compared to untreated skin. Step 5 (NIGHT): REPAIR With SISEL RAPID REPAIR NIGHT CREAM. (Optional: Skin Brightener before Rapid Repair optional addition). Contains a cell signalling ingredient that repairs the environmental damage that corrects us from oxidation and toxins. Rapid Repair replenishes the moisture needed by the skin to function in repair mode at night. 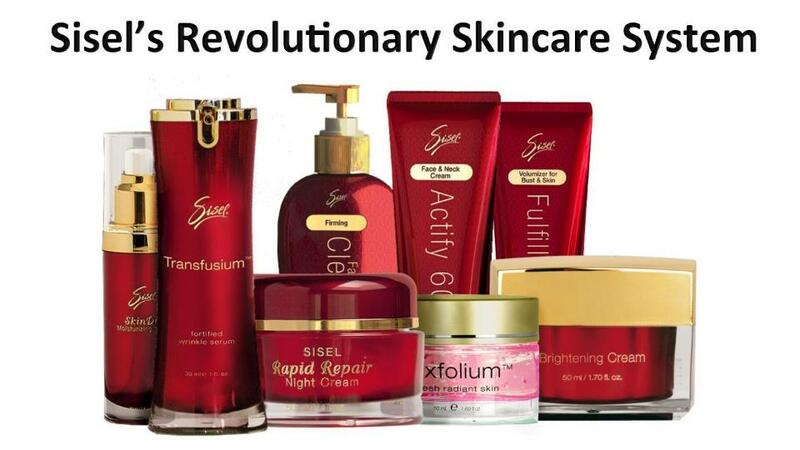 Promote skin repair and rejuvenation. Skin Brightener can also be added in at this step and applied before Rapid Repair. Skin Brightener revitalises old skin, age spots, and uneven color tones, giving your skin a brighter, more youthful appearance without using harmful oxidizers. Regain that youthful glow.